Now that November is here, we have officially entered sweater season! This means we can break out all the fun fall accessories such as scarves, boots, leggings and who could forget the most important accessory: our favorite holiday makeup palettes. With all the gorgeous colors surrounding us in nature in the fall season, we are reminded that like nature, we too enjoy changing our color palette to reflect the holiday season. Not only does fall bring about the change of colors and weather, but it reminds us all to think about how fortunate we are and to give thanks for the wonderful things in our lives. We at Vizio Makeup Academy are thankful for all of our wonderful students who we are so proud of. This month we will feature one of our current students and makeup artist, Doris Elias, who by judging all of her accomplishments, has a lot to be thankful for as well. Doris attended Midwestern University in Arizona where she worked in clinical research as a Protocol Coordinator. She has also been an Associate PI on clinical trials while she practiced medicine as a Physician’s Assistant. This medical background allows Doris to seamlessly blend into the cosmetics industry in the area of research and development. While completing a client’s makeover, Doris is able to provide the client with professional skin care advice. Her passion for makeup combined with her knowledge of skin care makes Doris an unstoppable makeup artist. Doris has worked in multiple settings both in the science/medical field as well as in the art/beauty field. She currently works as a freelance makeup artist for special events, weddings, film and TV. Her desire and commitment to improving the self-confidence of her clients is what really takes Doris above and beyond other makeup artists. She truly cares for her clients and enjoys the customer service aspect of working in the makeup industry. Doris believes that beauty comes from within and once you feel beautiful, you become beautiful. Her natural talent, care and expertise shine through in her work. Doris has had experience doing makeup for herself and her fellow Middle Eastern dancers and performers since 2005. This work, accompanied with her many freelance jobs, has exposed Doris to a wide cliental base so she has had experience with a variety of individual looks and needs. The enthusiasm she has for every type of makeup job is what keeps attracting the clients to her. She has become very successful while she continues to pursue her education with our academy. 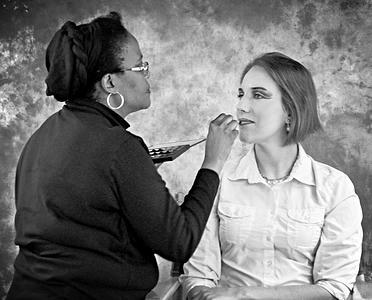 As one of our students, Doris continues to work hard every day to be the best makeup artist she can be. She is committed to excellence in her makeup artistry and it is very important for her to inform each of her clients about tips and skincare routines that greatly benefit them and have them returning to her time and again. Her many accomplishments are an inspiration to other students in the academy and a great deal can be learned from her. 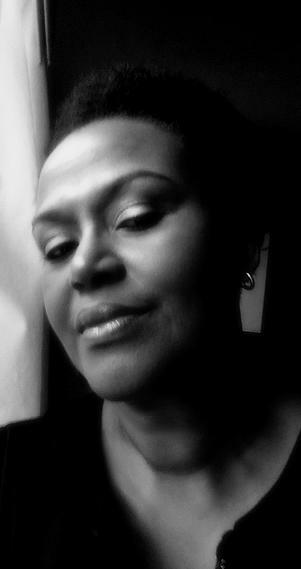 Don’t forget to check out her website dorismakeupartist.com.